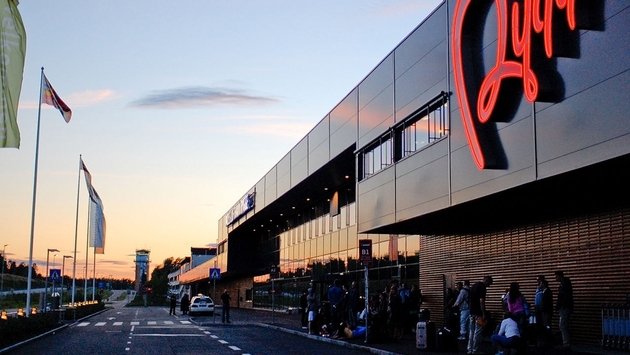 What Are Europe’s Cheapest Airports? Recent research by the flight search engine WhichAirline.com reveals that Oslo Rygge airport ranks as the cheapest in Europe. The cost of flights from Oslo Rygge is on average €0.036 per kilometer, while from Oslo Gardermoen (OSL) they are €0.154 which makes Gardermoen four times more expensive. 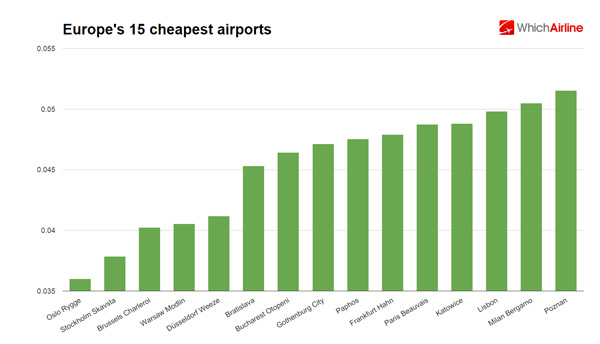 Which airports are the cheapest? Even when comparing prices per kilometer, the secondary airports showed up as the cheapest option while travelling from European capitals. This is mainly thanks to higher amount of flights served by low-cost airlines that are dragging the prices down. Two more airports from the cheapest 10 - Brussels Charleroi and Stockholm Skavsta - can also be a good example of these differences. 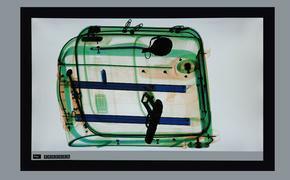 While the cost of flights from Brussels Charleroi (CRL) airport is on average €0.0402 per kilometre, prices Brussels main airport (IATA code BRU) are €0.0813, the same applies to Stockholm airports - while Skavsta (NYO) offers on average €0.0379, Arlanda (ARN) is three times more expensive with €0.1129 per kilometer. And what about the most popular Europe destinations? London Heathrow (LHR) is often the airport most London visitors choose, however with the average price of €0.2016 it can be really expensive in comparison to Stansted (STN) with €0.0658, Luton (LTN) with €0.0790 or Gatwick (LGW) with €0.0914. Paris Beauvais airport (BVA) offers flights on average for €0.0487 per km, while Charles de Gaulle airport (CDG) has flights for €0.1162 per kilometer. Even though secondary airports may seem as the best option, some of them are located far away from the city. A perfect example could be Paris Beauvais, which is located approximately 90 km from Paris city center. So it is always good to check the public transportation to the city center or parking options before you decide to fly from one of these.